Edge and Christian welcome Tommaso Ciampa to the show. 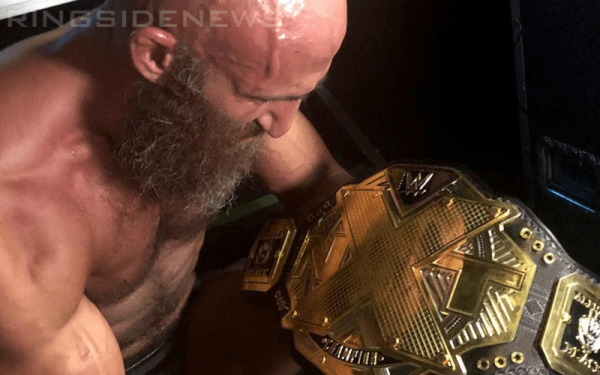 Ciampa says he started to have some issues with his neck in 2006. After he came back from his shoulder/knee surgeries a couple of years ago he really started to notice it more and more. He began getting stingers down both arms during basically every match. He was quite scared going into neck surgery, especially at his age. He started to realize that although this is new for him, the surgeon does this multiple times each day. That realization really calmed him down. He admits that it’s hard and frustrating not being able to work out or do much physically. All he can do is walk right now, so he walks his dog 4 times daily. That’s a tough pill to swallow for someone whose accustomed to basically no time off with WWE’s schedule. Now he’s just sitting on a couch all day. Ciampa says when he was out recovering from his knee and shoulder surgeries he knew it was important for him to come back as a unique heel. He thought NXT was missing that. He also knew it was important to develop a relationship with Triple H, and he’s been able to do that.